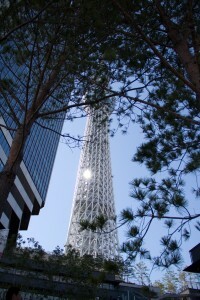 Nerdtour 2012: Tokyo Sky Tree – No, it’s not small! – Nerdwatch! Nerdwatch! 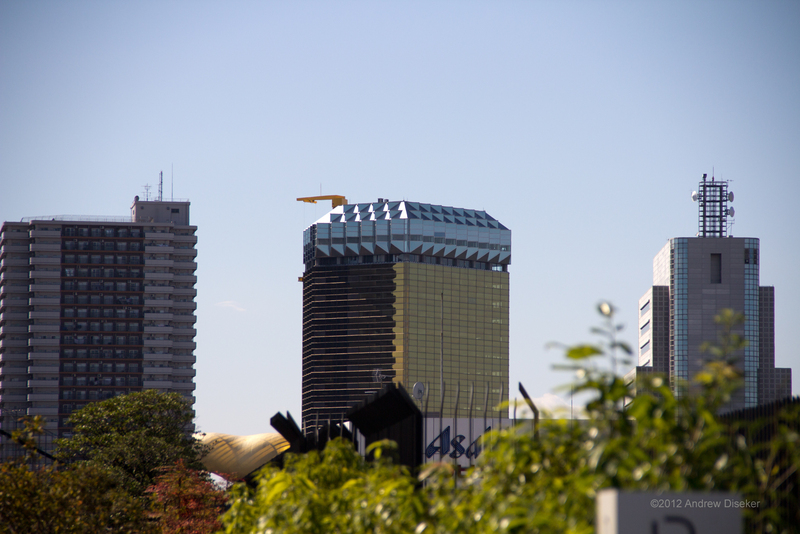 » cool things! 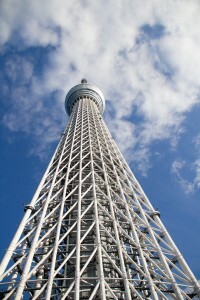 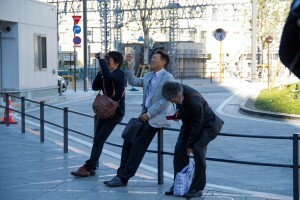 » Nerdtour 2012: Tokyo Sky Tree – No, it’s not small! 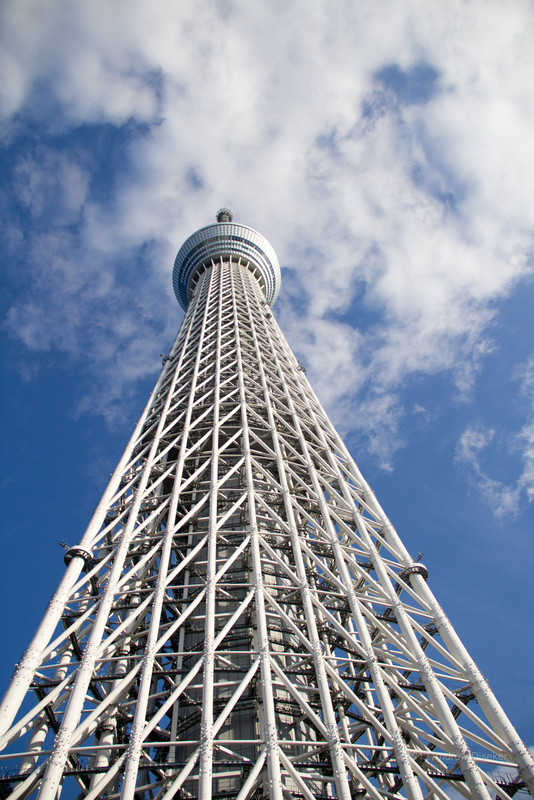 Back in the old analog broadcast days, Tokyo television stations broadcast from various different towers, including Tokyo Tower, located all over the Kanto Plain. 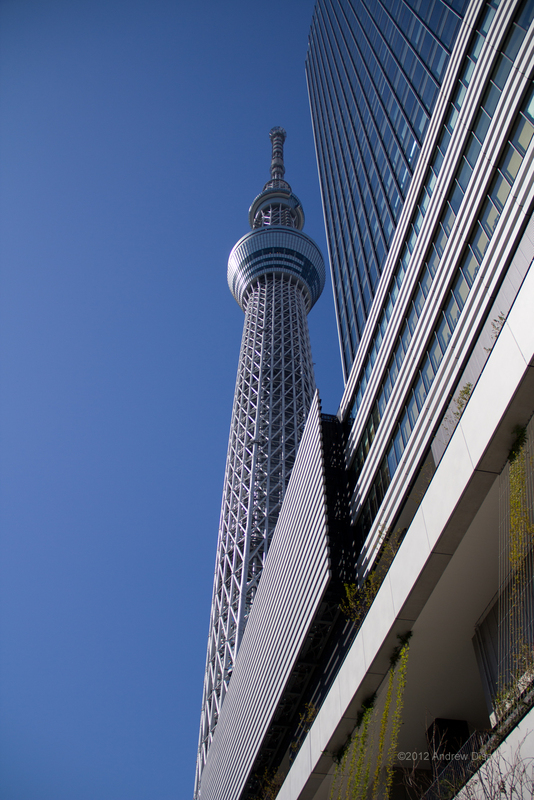 As more and more tall buildings were built, it became harder to find places to transmit from, that would be guaranteed to cover the city. 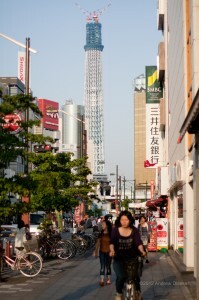 Also, as digital television technology was fast approaching, the Governments, broadcast companies, and transportation companies decided to build a transmission tower that would be pretty much guaranteed to send digital signals all over Tokyo, as well as a commercial and transportation center to support it. 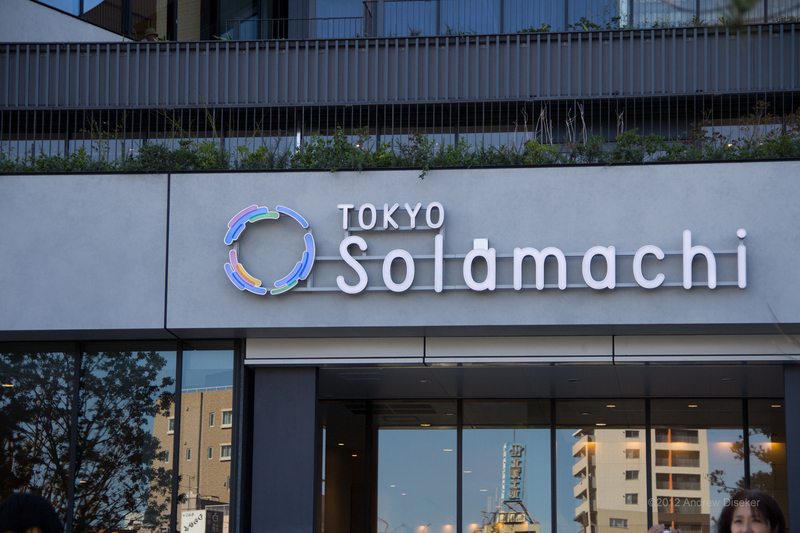 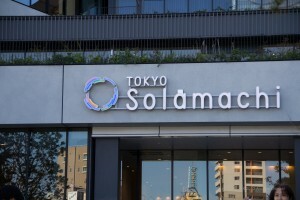 In 2007, around the time I was staying there, they broke ground in Oshiage town for Sky Tree Town, the center of which would be a commercial mall called Tokyo Solamachi. When I was there in 2010 with my brother, they had finished over 300 meters of the tower, and had started on the bottom of the lower observation deck. 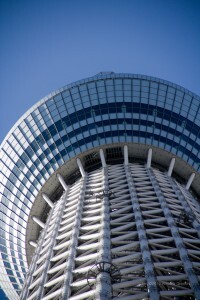 In May of this year they opened up the observation decks for the completed tower (Japan switched to all-digital television this year as well, so that the tower was in use before it was opened to the public), which are at 300 meters and at 450 meters, or about 900 feet and over 1300 feet, respectively! 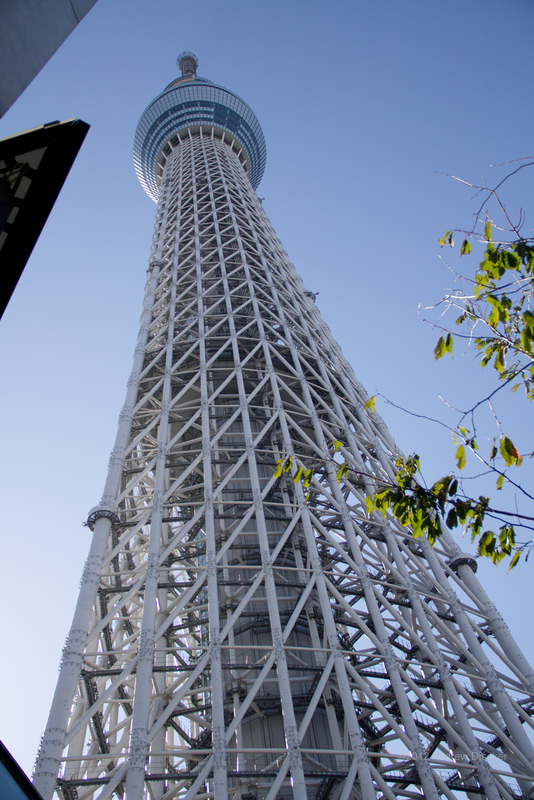 The top of the tower is made up of broadcast antennas for all of the broadcast companies, which tops out at 634 meters, or just over 2000 feet! You can read all about it at the official website, and you can scroll down the whole length of the tower. 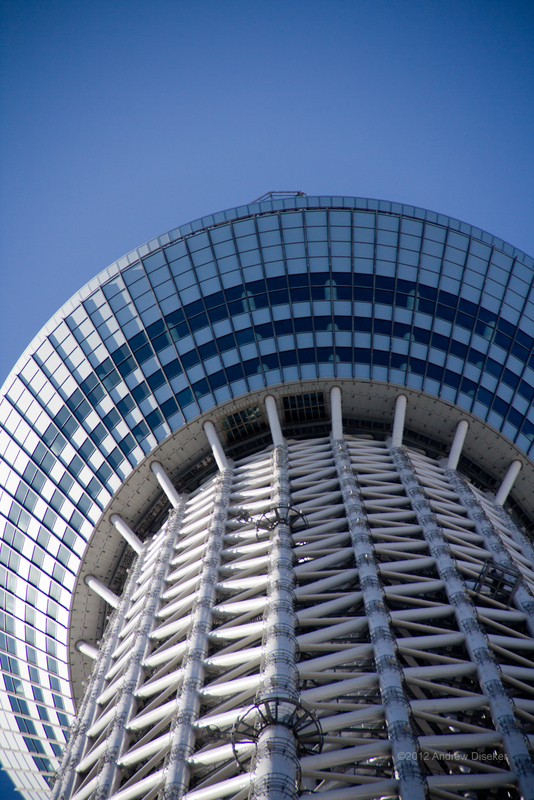 Needless to say, it’s going to take a bit of doing for me to work up enough courage to go to the top observation deck, but I’ve decided I have to do it (praying for no earthquakes!) 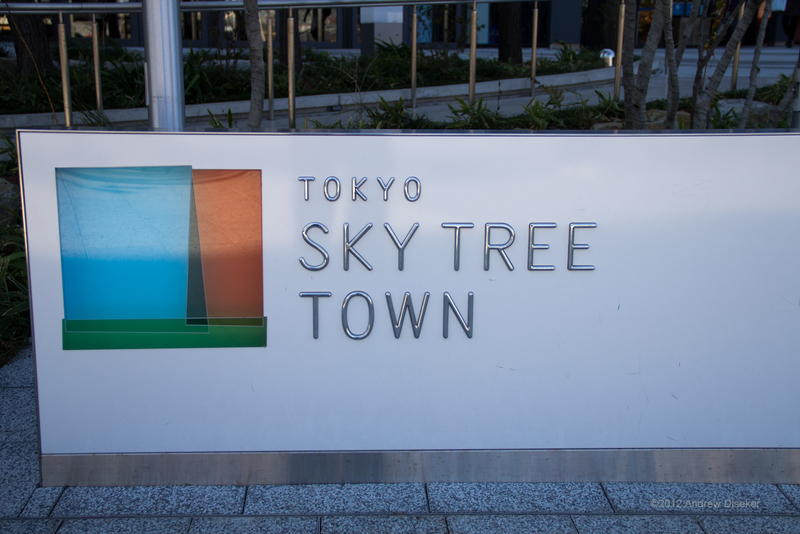 For this first visit to Sky Tree Town, though, the intent was to get pictures of the area and the tower, to scope out just how big this thing is. Unfortunately, pictures just can’t convey how huge, gigantic, enormous, frickin’ BIG the tower is! 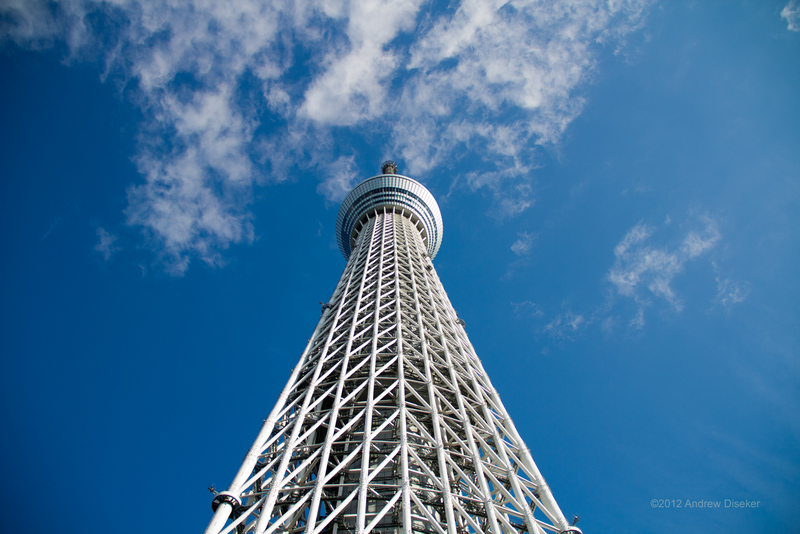 Even saying the words, “almost half a mile high” doesn’t cover it, or saying that the beams you see at the bottom are 10 feet wide, nothing can really give you the feeling that standing at the bottom looking up can give. 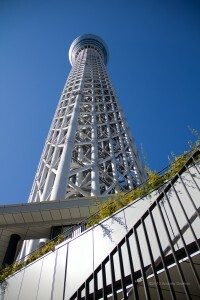 So, I’m not even going to try, and what follows is a 360 degree walkaround of the tower, with some commentary. 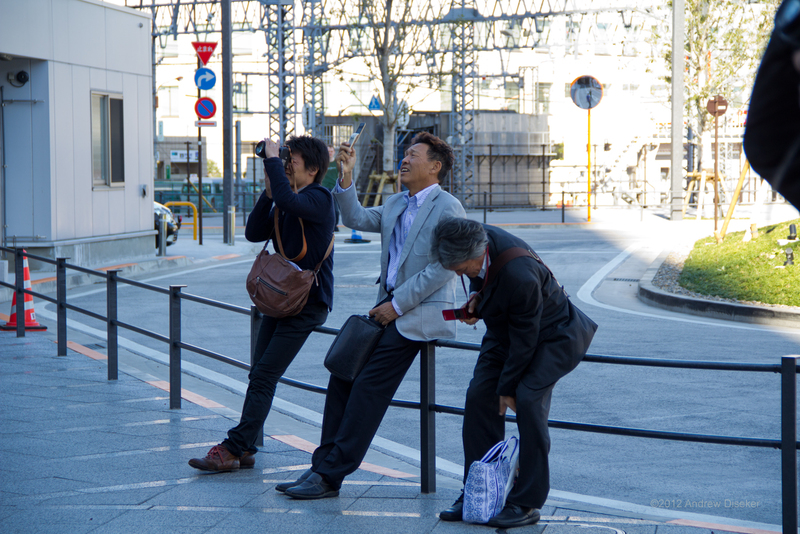 So, you come out of the subway station and WHOA! 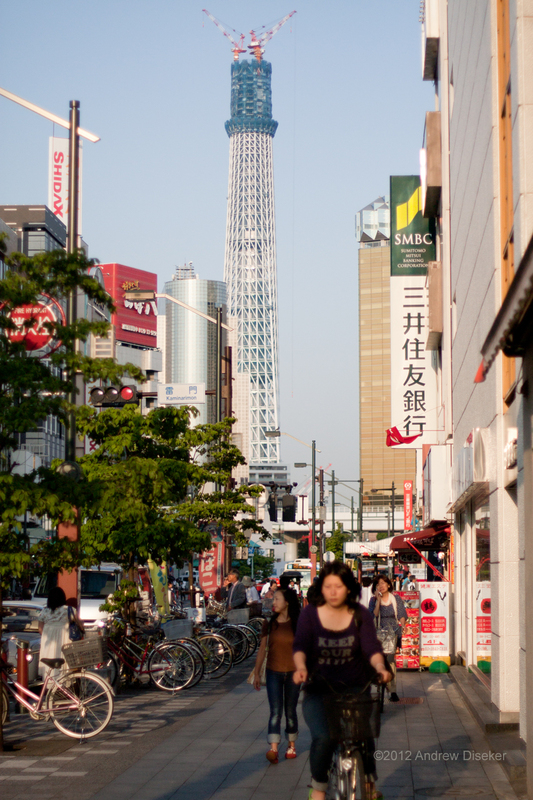 Uptown? 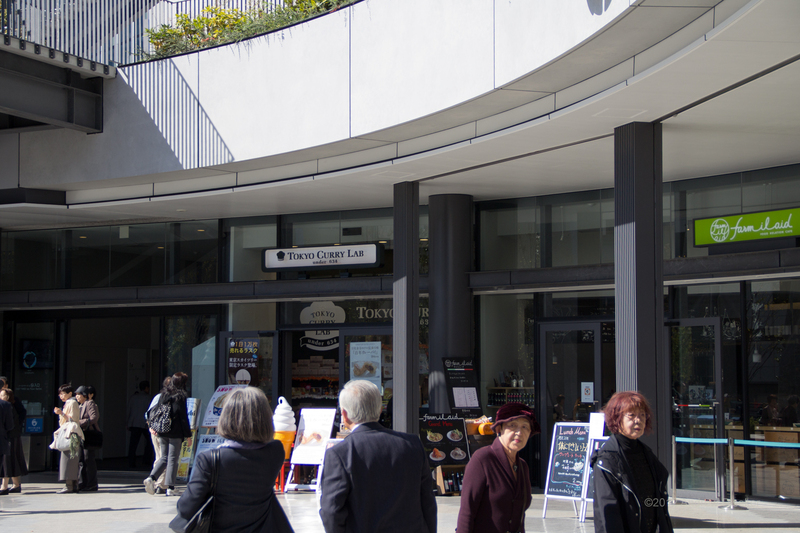 Downtown? 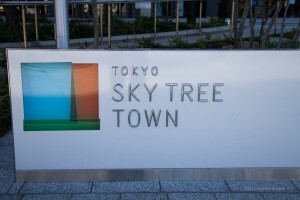 No, Sky Tree Town! 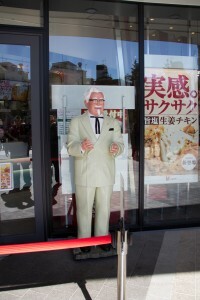 One doesn’t ask what goes on in the “Tokyo Curry Lab”! 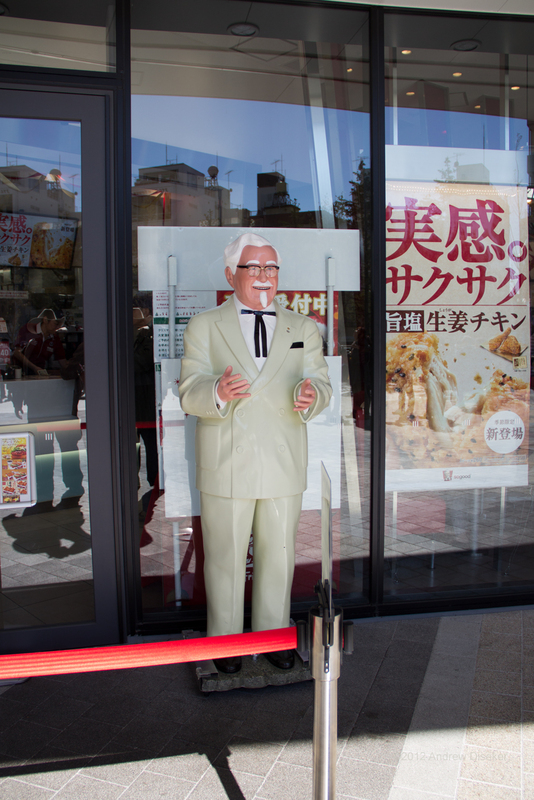 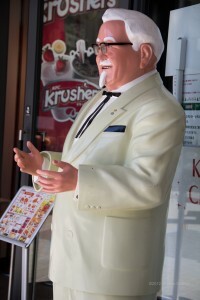 Spare me from the horrors of the Tokyo Curry Lab, Colonel Sanders! 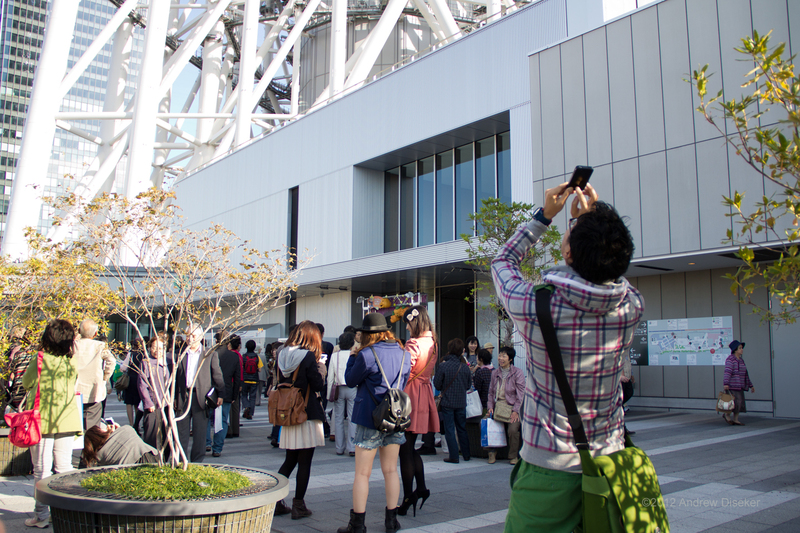 Tagged broadcast tower, Japan, nerdtour, Nerdtour 2012, Sky Tree Town, Tokyo, Tokyo Sky Tree, Tokyo Solamachi. Bookmark the permalink.